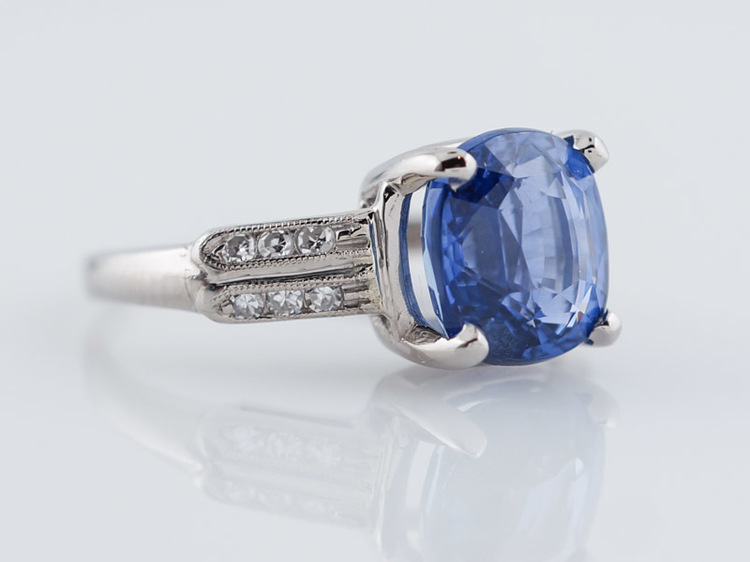 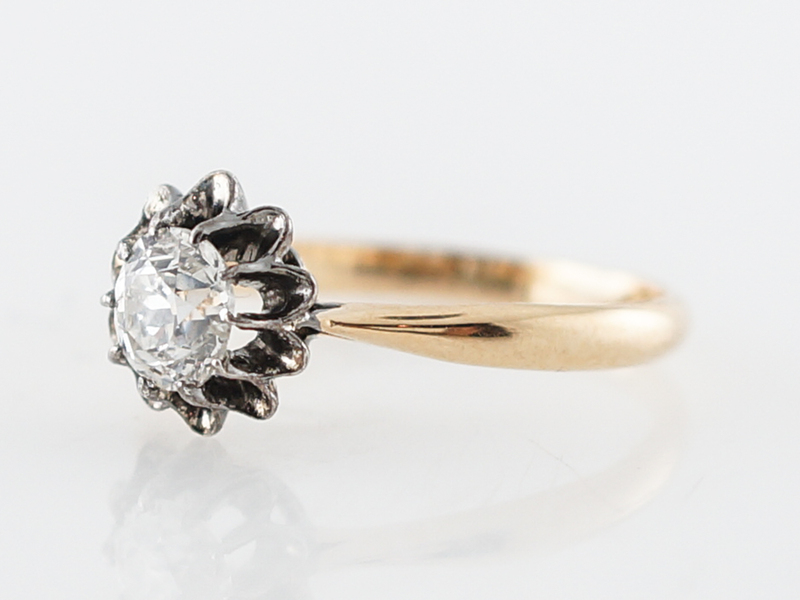 This unique Victorian engagement ring is a true one of a kind. 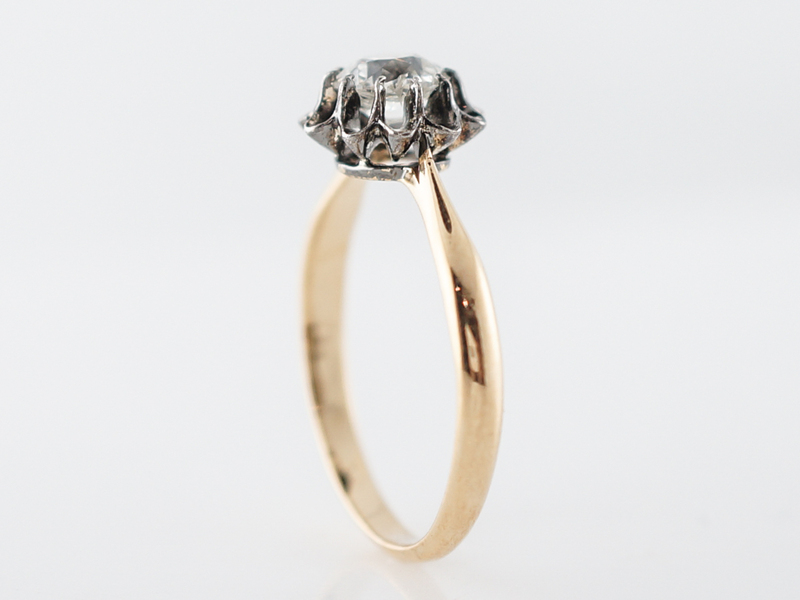 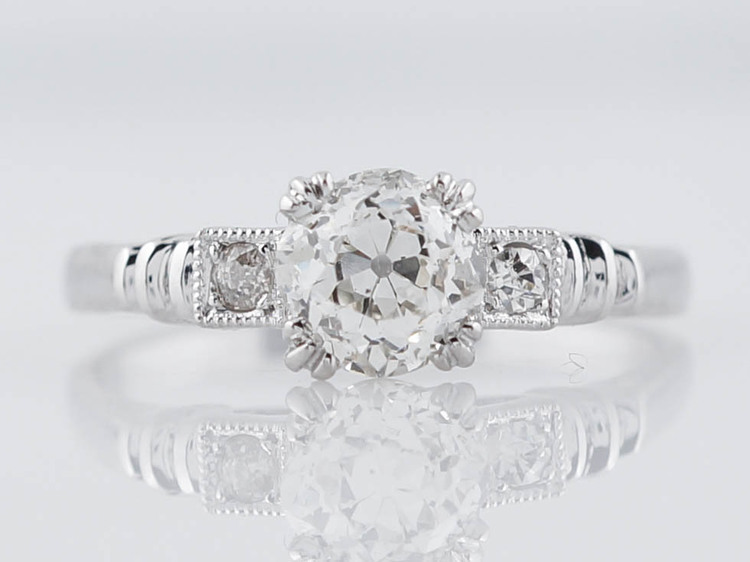 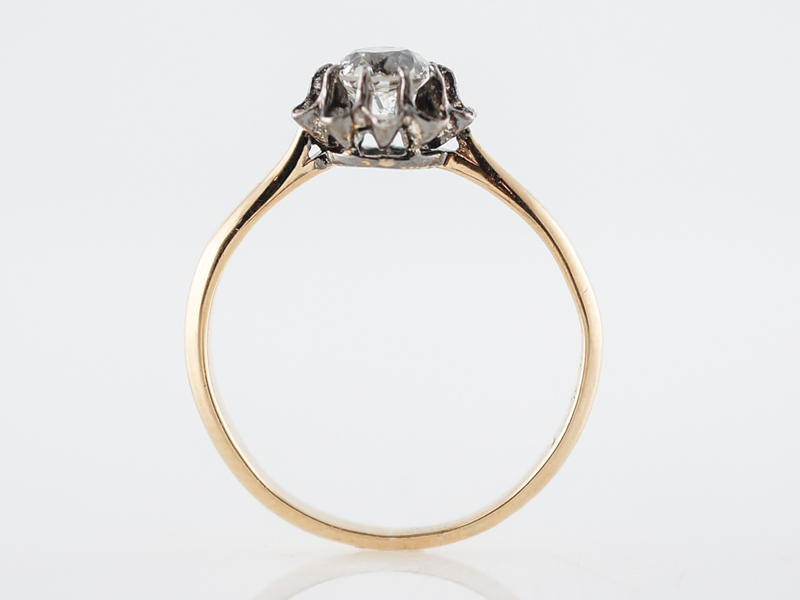 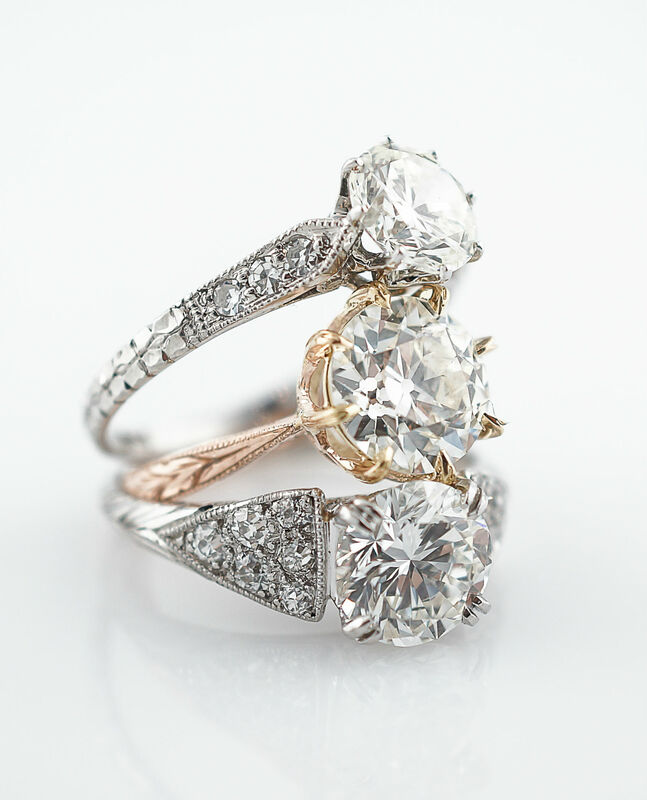 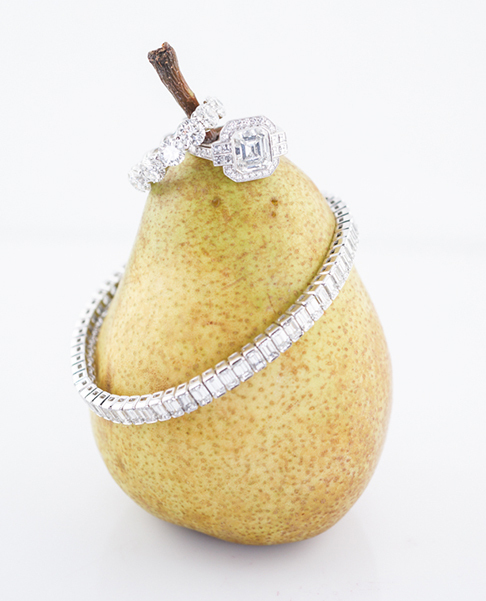 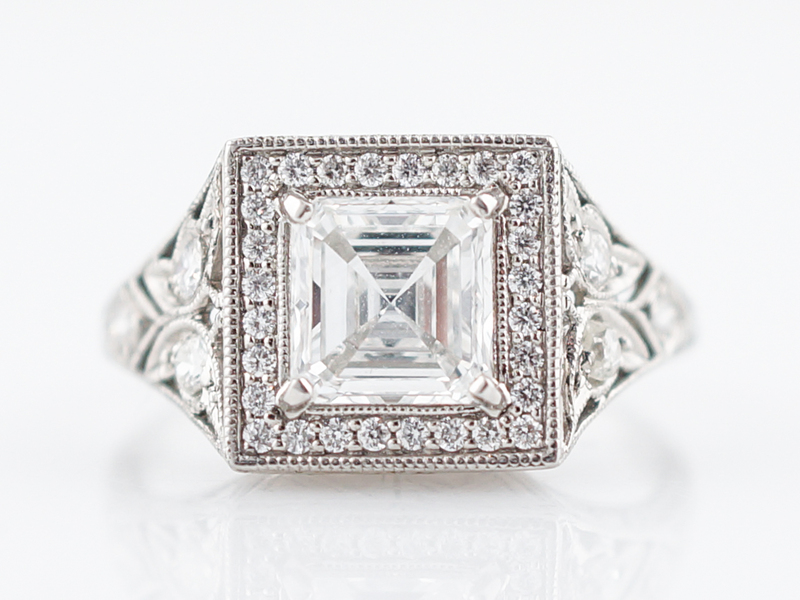 The center diamond is a .65 old mine cut with a beautiful faceting structure. 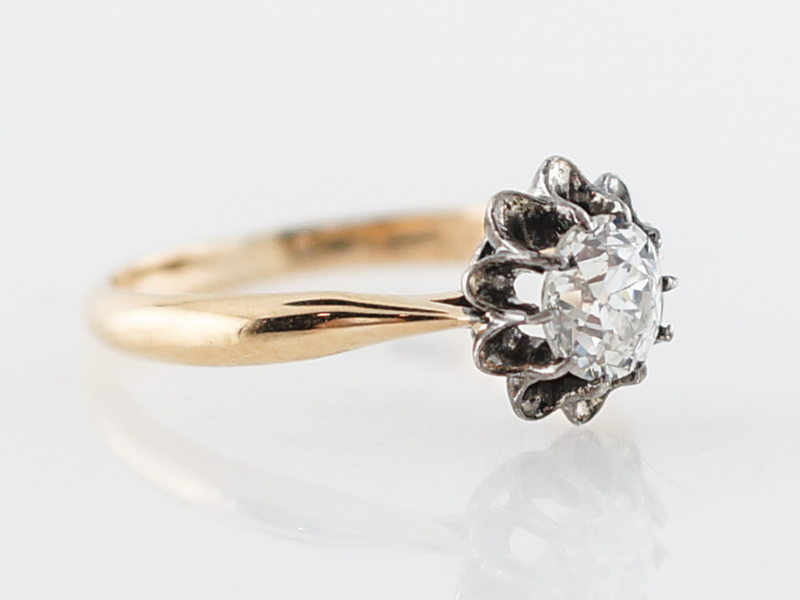 The top half of the mounting is done is sterling silver and features a floral design while bottom is 14k yellow gold and creates a lovely two-tone style. 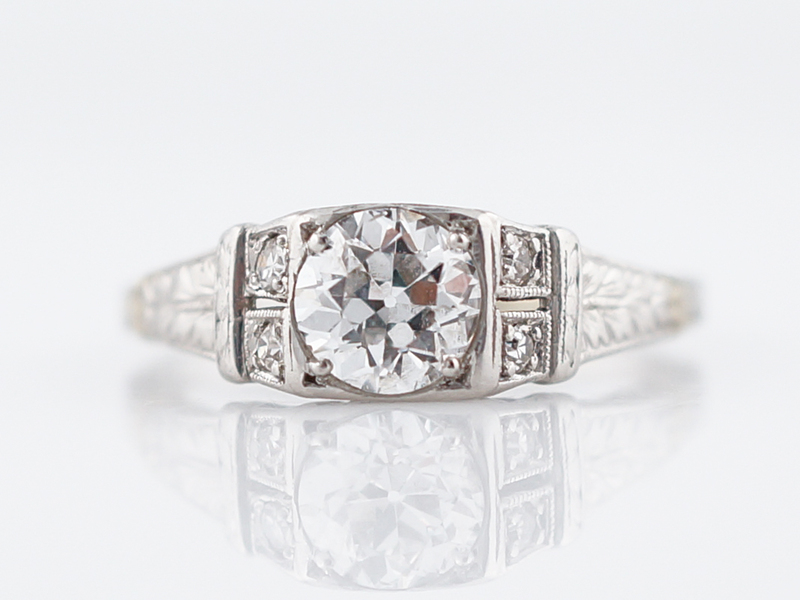 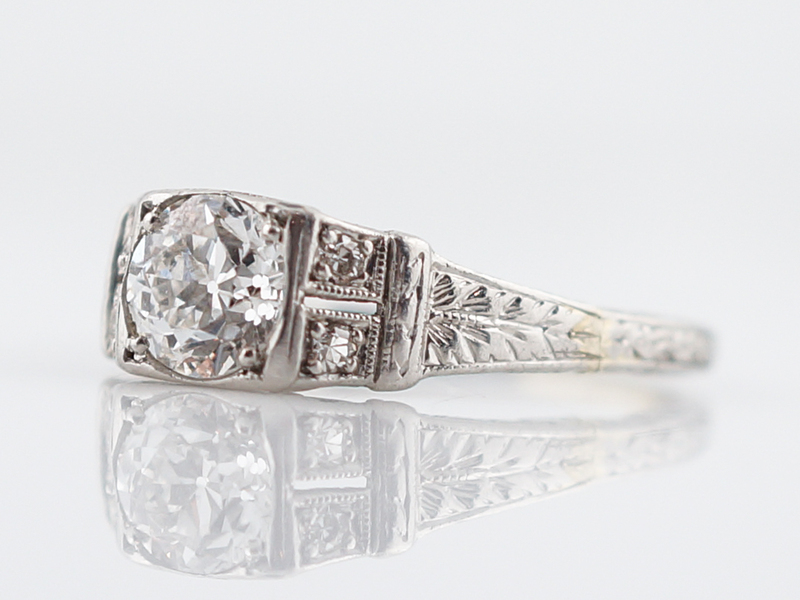 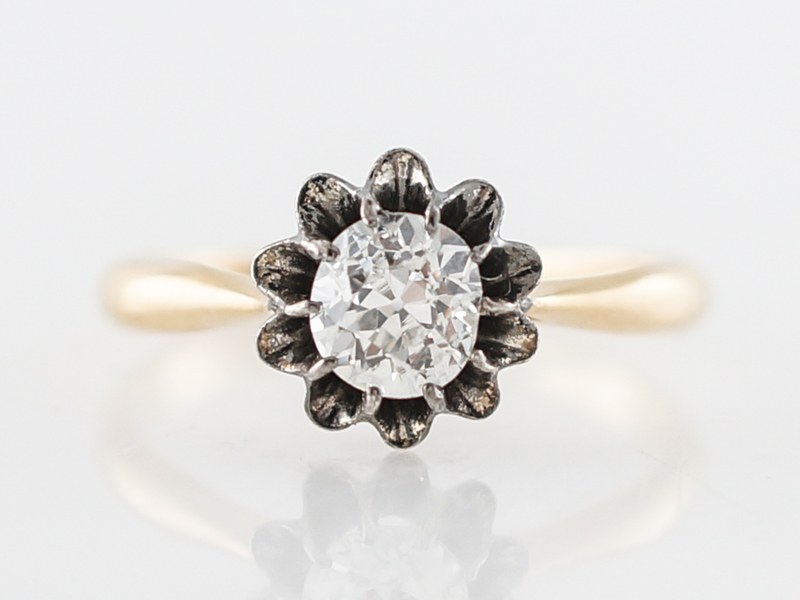 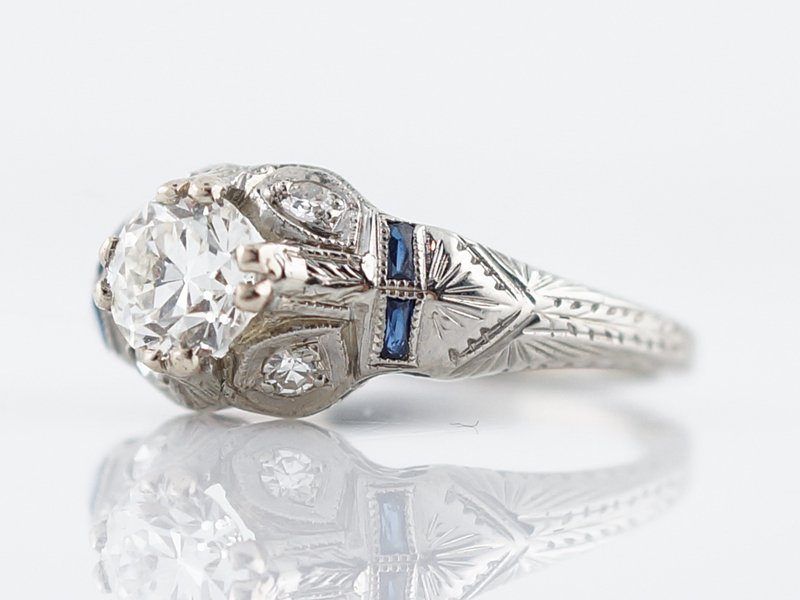 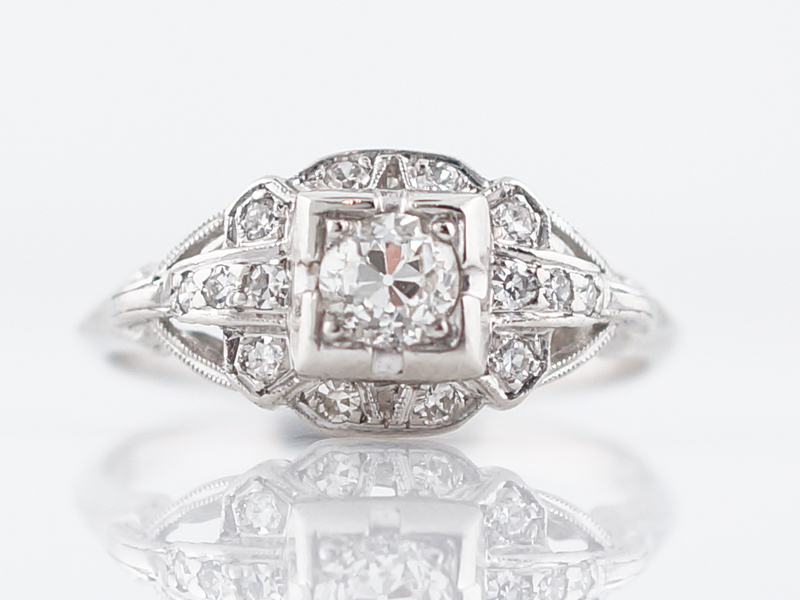 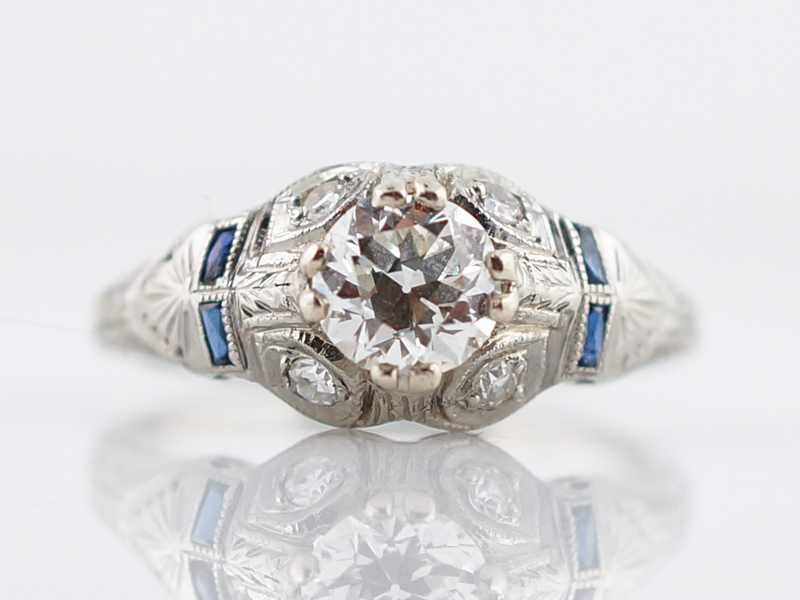 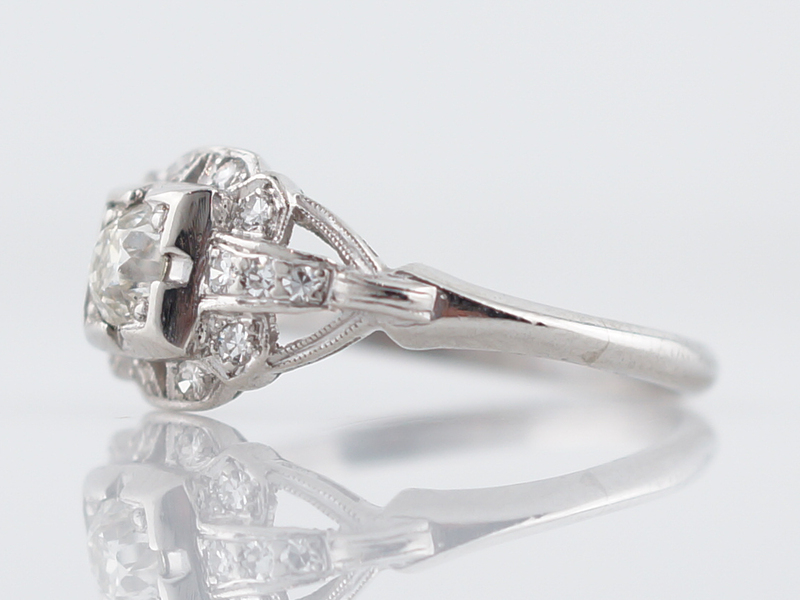 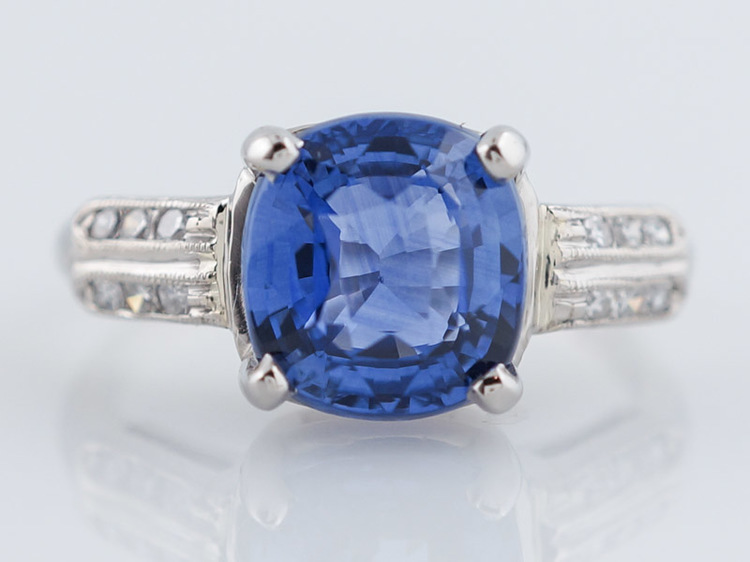 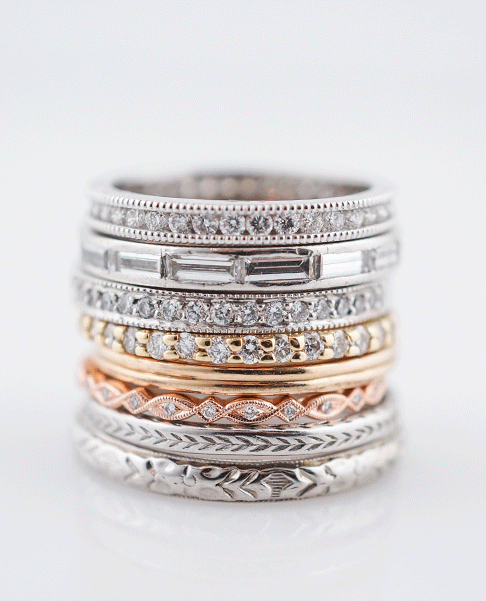 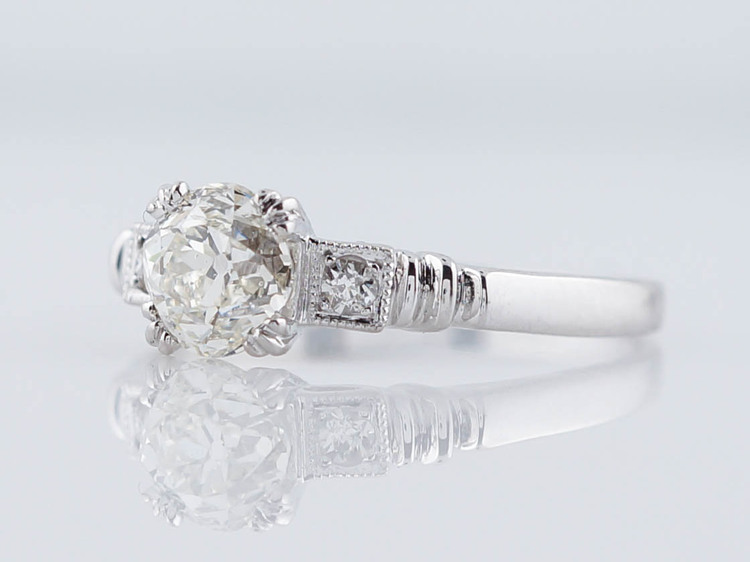 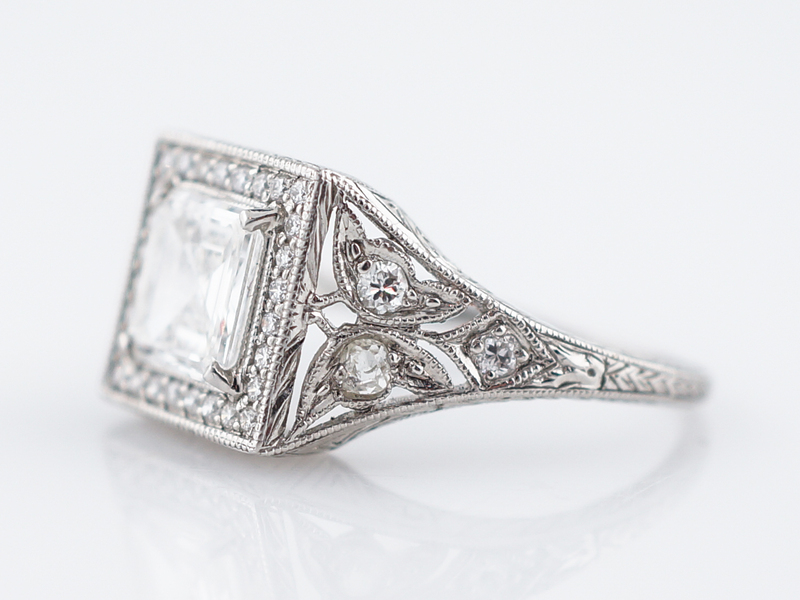 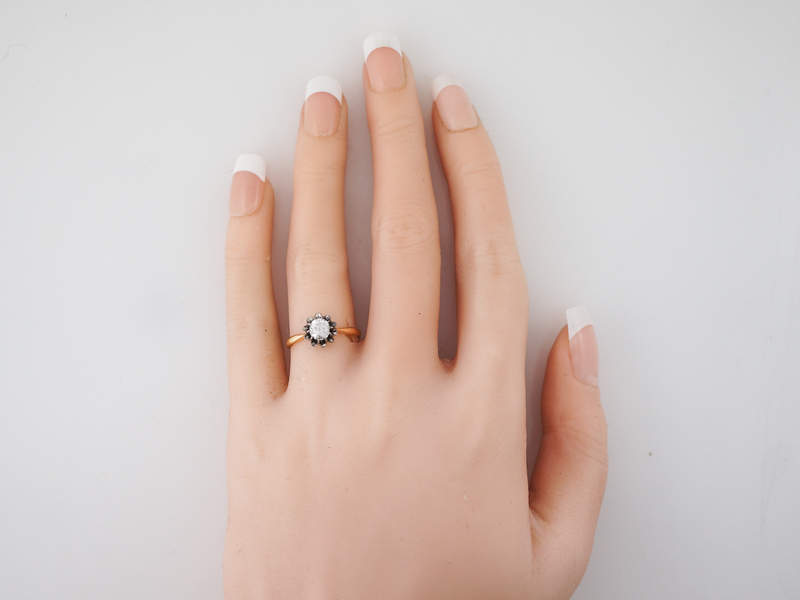 A truly special antique ring from the late 1800’s!